Through her bold, striking images, photographer Aïda Muluneh asks provocative questions about the life that we live as people, as nations, and as beings. Her carefully composed photographs read as poems, using symbols and painted figures to tell stories of the past, present, and future. Work from two recent series will be included: World is 9 and Memory of Hope. 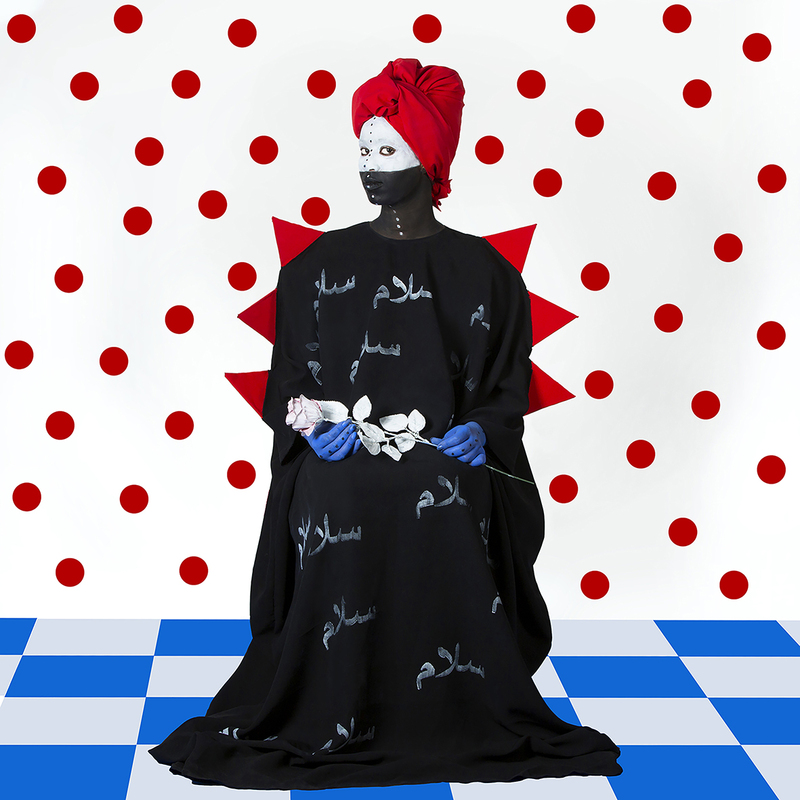 Born in Ethiopia in 1974, Aïda Muluneh grew up in Ethiopia, Yemen, England, and Canada. She holds a degree in film from Howard University in Washington D.C. Her work has been shown in South Africa, Mali, Senegal, Egypt, Canada, the United States of America, France, Germany, England, and China, to name a few countries. In addition to her work as an exhibiting artist, Muluneh continues her work as a photojournalist and commercial photographer; her work can be found in several international publications. Join us at 5:30PM on Friday, March 23, 2018, for closing reception featuring comments by the artist. Muluneh will also be presenting Crossroads of Afro-futurism in Fine Art ﻿at 3PM in Matthews Hall room 210.